Total Building Services are a Cardiff based maintenance company established in 1992. After continued growth in the services being offered, a requirement was identified for a new website to advertise the specialist services of the water treatment division. Manager Sharon Bowling wanted a clean, fresh look for the simple and informative website, with factual information and contact details. 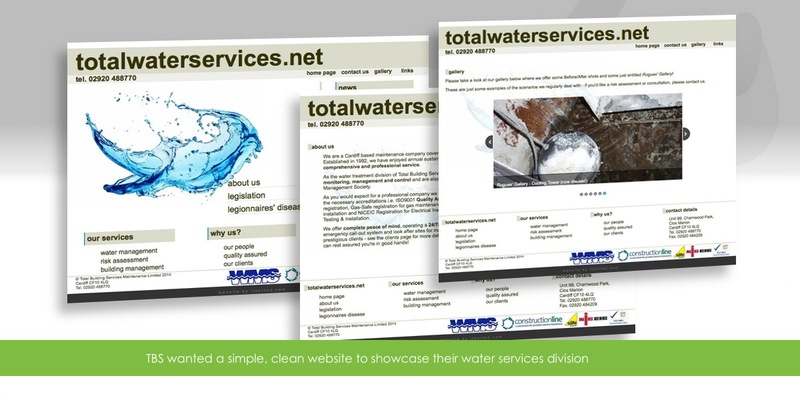 IT Sorted designed the totalwaterservices.net website with the requirements in mind, with short concise pages, clear navigation and a gallery page to showcase any relevant photographs required.